1989-1991 Master of Arts, Department of Geography, the University of Melbourne, Australia. 1983-1986 Master of Science, Department of Geography, East China Normal University, China. 1979-1983 Bachelor of Science, Department of Geography, Beijing Normal University, China. 2004-present Senior scientist, group leader of Water, Food and Environmental Studies. Department of Systems Analysis, Integrated Assessment and Modeling, Eawag. the Chinese Academy of Sciences, China. 1999-2004 Research scientist, group leader of Water, Food and Environmental Studies. 1997-1998 Assistant professor, Department of Geography, Hong Kong Baptist University. Hong Kong. the University of Adelaide, Australia. Folberth, C., Yang, H., Gaiser, T., Liu, J.G., Wang, X.Y., Williams, J, Schulin, R. 2014. Effects of ecological and conventional agricultural intensification practices on maize yields in Sub-Sharan Africa under potential climate change. Enviornmental Research Letter. 9(4): Article Number: 044004. doi: 10.1088/148-9326/9/4/044004. Folberth, C., Yang, H., Gaiser, T., Abbaspour, K.C., Schulin, R. 2013. Modeling maize yield responses to improvement in nutrient, water and cultivar inputs in Sub-Saharan Africa. Agricultural Systems. 119: 22-34. Andersson, J., Zehnder, A.J.B., Röckström, J., Yang, H., 2011. Potential impacts of water harvesting and ecological sanitation on crop yield, evaporation and river flow regimes in the Thukela River Basin, South Africa. Agricultural Water Management. 98(7): 1113-1124. Faramarazi, M., Yang, H., Schulin, R., Abbaspour, C.A., 2010. Modeling wheat yield and crop water productivity in Iran: Implications of agricultural water management for wheat production. Agricultural Water Management. 97(11): 1861-1875. Liu, J.G., Yang, H., 2010. Spatially explicit assessment of global consumptive water uses in cropland: green and blue water. Journal of Hydrology. 384: 187-197. Zhao, X., Tillotson, M., Yang, Z.F., Yang, H., Liu, J.G., 2016. Reduction and reallocation of water use of products in Beijing. Ecological Indicators, In press. Yang, H., Pfister, S., Bhaduri, A., 2013. Accounting for a scarce resource: virtual water and water footprint in the global water system. Current Opinion in Environmental Sustainability. 5(6): 599-606. Zhang, Z.Y., Shi, M.J., Yang, H., 2012. Understanding Beijing's water challenge: a decompostion analysis of changes in Beijing's water footprint between 1997 and 2007. Environmental Sciences & Technology. 46(22): 12373-12380. Zhao, X., Yang, H., Yang, Z.F., Chen, B., Qin, Y., 2010. Applying the input-output method to account for water footprint and virtual water trade in the Haihe River Basin in China. Environmental Science & Technology. 44(23): 9150-9156. Faramarzi, M., Yang, H., Mousavi, J., Schulin, R., Binder, C., Abbaspour, K., 2010. Analysis of intra-country virtual water trade strategy to alleviate water scarcity in Iran. Hydrology and Earth Systems Sciences. 14: 1417-1433. Liu, J.G., Liu, Q.Y., Yang, H., 2015. Assessing water scarcity by simultaneously considering environmental flow requirements, water quantity, and water quality. Ecological Indicators. 60: 434-441. Shi, M.J., Wang, X.J., Yang, H., Wang, T., 2014. Pricing or quota? Solution to water scarcity in oasis regions in China - A case study in the Heihe River Basin. Sustainability. 6: 7601-7620. Khan, N.I., Brouwer, R., Yang, H., 2014. Household's willingness to pay for arsenic safe drinking water in Bangladesh. Journal of Environmental Management. 143: 151-161. Osterwakder, L., Johnsona, A., Yang, H., Johnston, R., 2014. Multi-criteria assessment of community-based fluoride-removal technologies for rural Ethiopia. Science of the Total Environment. 488: 536-542. Rosenzweig, C., ... Folberth, C. ... Yang, H., ..., 2014. Assessing agriculutural risks of climate change in the 21st century in a global gridded crop model intercomparison. PNAS. 111(9): 3268-3273. Vaghefi, S., Mousavi, S.J., Abbaspour, K.C., Srinivasan, R., Yang, H., 2014. Analysis of the impact of climate change on water resources components, drough and wheat yield in semi-arid regions: Karkheh River Basin in Iran. Hydrological Processes. 28: 2018-2032. Liu, J.G., Folberth, C., Yang, H., Röckström, J., Abbaspour, C.K., Zehnder, A.J.B., 2013. A global and spatially explicit assessment of climate change impacts on crop production and consumptive water use. Plos One. 8(2): Artical Number: e57750. doi: 10.1371/journal.pone.0057750. Faramarzi, M., Abbaspour, C.K, Vaghefi, S.A., Farzaneh, M.R., Zehnder, A.J.B., Yang, H., 2013. Modeling impacts of climate change on freshwater availability in Africa. Journal of Hydrology. 480: 85-101. Abbaspour, C.K, Faramarzi, M., Ghasemi, S.S., Yang, H., 2009. Assessing the impacts of climate change on water resources of Iran. Water Resources Reaserch, doi: 10.1029/2008WR006051. intensification. Funded by Eawag. Princial investigator. Ministry of Education and Research (BMBF). Team member. the context of water scarcity and climate change in Sub-Saharan Africa. Funded by SNF. 2006-2014 Water Resources Quality (WRQ). Funded by Eawag and various external fundings. Phase I: A global assessment of geogenic pollution of arsenic and fluoride in groundwater. groundwater. Case studies in Ethiopia and Bangladesh. available and how much water is needed for people? 2015- Associate editor of Frontiers in Freshwater Science. 2012- Member of Scientifiic Advisory Board of Stockholm Enviornmental Institute (SEI), Sweden. and Vulnerability. IPCC Assessment Report 5. 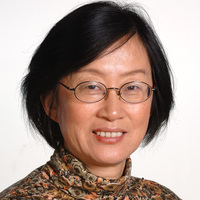 2006-2014 Scientific Streering Committee Member of the Global Water Systems Project (GWSP). Agricultural Water Use and Trade under Climate Change). application in water use assessment and water management.